The etiologic agent of granulocytic anaplasmosis, Anaplasma phagocytophilum, has a circum-global distribution within the northern hemisphere and shows a host species predilection that varies by the geographic region in which the disease is found. Adaptation by the bacterium to a host species potentially contributes to the variation found worldwide but this is confounded by the bacterium's relationship with its tick vectors, all of which belong to the Ixodes ricinus group. We tested the hypothesis that tick vector species collected from geographic regions sympatric with particular A. phagocytophilum strains will show evidence of a higher degree of vector competence than will tick species and allopatric A. phagocytophilum strains. A reciprocal cross-transmission experiment was performed using an eastern and a western North American strain of A. phagocytophilum (Webster and MRK, respectively) and the two tick species, I. scapularis and I. pacificus, most commonly associated with human and animal transmission of the bacteria in the United States. 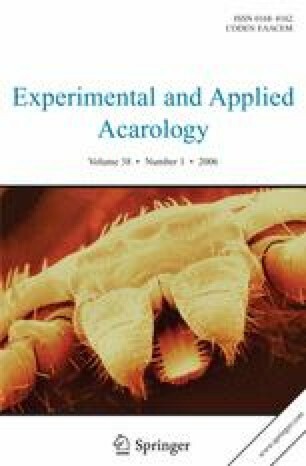 The western tick, I. pacificus, showed a significantly higher vector competence for A. phagocytophilum than I. scapularis and the eastern isolate, Webster, was more transmissible than its western counterpart, MRK. These results indicate that geographic variation in host susceptibility to A. phagocytophilum strains may play a more important role in the epidemiology of granulocytic anaplasmosis than does the competence of its tick vectors to transmit the pathogen.